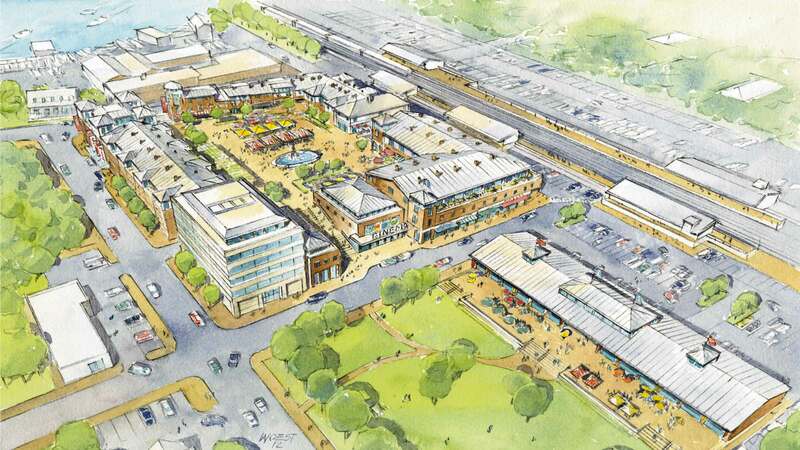 Preliminary plans for this redevelopment project include a block-wide renovation directly facing the southbound railroad station on Railroad Place in Westport. 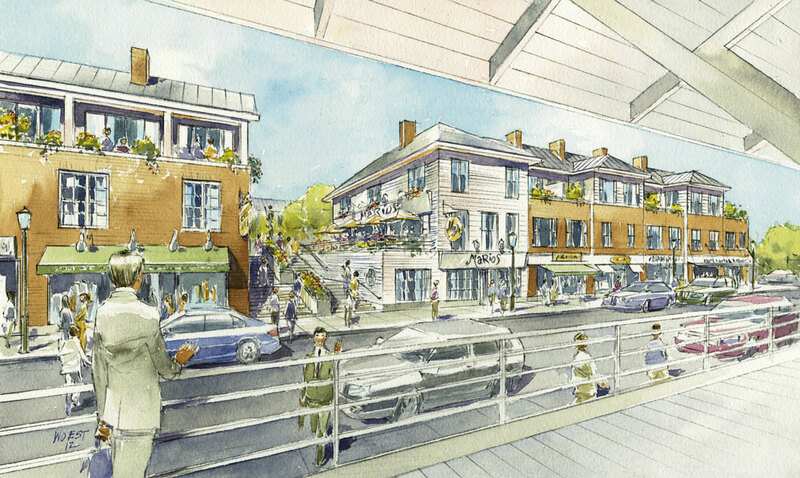 Working closely with other strategic partners in the LANDTECH Group, architect Peter Wormer AIA and Wormser + Associates Architects designed a beautiful vision for the 3-acre commercial space directly opposite from Westport's Saugatuck Metro-North train station. The project design calls for multiple centralized pedestrian plazas, a year-round enclosed green market, restaurants, retail stores and office space, as well as residential apartments in a town-house styled setting. Plans also call for a small movie theatre and a boutique hotel, as well as underground parking designed to accommodate over 450 cars.